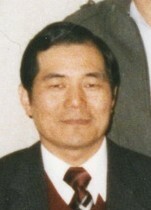 One of the founding members of Electronics Research Organization (ERSO), leading the group of engineers trained at RCA in the late 1970s, in Taiwan, he became responsible for setting up ERSO's demonstration laboratory, before becoming chief of the institution's Computer Development Group. There, he led ERSO's entry into the specialized chipset market. Born in Nanjing, China, his parents were chemical engineers. His family moved to Hong Kong where they lived four years before moving to Taiwan. He attended middle school and high school at Kaohsiung Senior High School and in 1965 he entered National Taiwan University, majoring in Electrical Engineering. It was there that he was first introduced to semiconductors. He then attended Princeton in 1969, and received his Ph.D. in Electrical Engineering in 1975, having also studied Physics and Chemistry. In 1974, when he finished his dissertation, he went to Florida to work for Harris Semiconductor Company as an Associate Principal Engineer. There he had to solve some difficult problems on the production line, and learned how to draw and design circuits on computers. After graduation he did one year of military service. ERSO is controlled by the Industrial Technology Research Institute (ITRI). ERSO/ITRI served as a seedbed for much of Taiwan's electronics and semiconductor industry. In addition to providing financial and technical support for the industry, ERSO and ITRI also provided significant infrastructure support. Such was the case in 1980 with the construction of the Hsinchu Science-based Industrial Park. ERSO also created a number of important players in the market, such as Taiwan Semiconductor Manufacturing Corporation (TSMC) and United Microelectronics Corporation (UMC) both in the early 1980s. The growth of Taiwan's electronics market, and the success of TSMC, UMC, and other ERSO spinoffs, led him, and seven other engineers at ERSO, to decide to enter the private sphere as well. In 1987, he lined up an investor, Walsin Lihwa Corporation, and established Winbond Electronics Corporation. Unlike TSMC and UMC, the new company was not directly controlled by ERSO. Nonetheless, Winbond enjoyed strong support from ERSO, including the use of ERSO's original Hsinchu laboratory and the transfer of an additional team of 40 engineers. ERSO also sent him to study Business Administration at Stanford University. Of importance, his relationship with ERSO and ITRI (he was later to be named as head of planning and marketing for ITRI) also enabled Winbond to start up its operations based on a license for ERSO's CMOS chip technology. By the end of 1987, Winbond had established its first fab and had launched production of its first IC products. The company quickly expanded into building chipsets based on Intel's 286, then 386, and later, 486 microprocessors, becoming a major player in that all-important IC segment. By 1988, the company also had launched production of wafers. This enabled Winbond to expand into various specialty chipset markets, such as for video display controllers, as well as voice and other early multimedia ICs in 1989, and then add its first integrated circuit for the newly established LCD market in 1990. Winbond began building its international sales market at that time as well. In 1990, the company established subsidiaries in the United States and in Hong Kong. Winbond also continued to develop its technology, emerging as one of the Asian IC industry's top innovators into the mid-1990s. Among the company's achievements during this time was the development (with ERSO) of the ISDN U-transceiver and, in partnership with Symphony, the one-micron CMOS 386 and 486 chipset families, both in 1991. By then, the company had entered the memory market, developing its first high-speed SRAM chips.